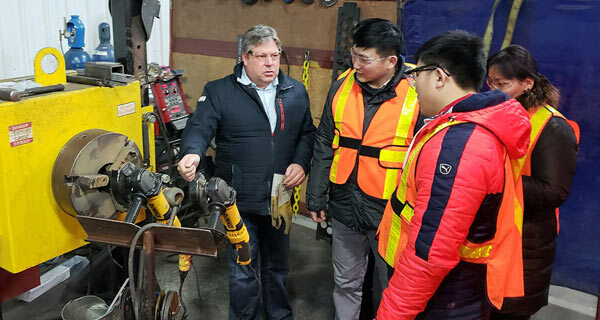 Canadian Ambassador to Mongolia, David Sproule paid a much-anticipated visit to Gemini Machine Works recently. During the morning the Ambassador met with Gemini Sr. Management to discuss the current business climate for Canadian companies operating in Mongolia, as well as insights that could help them compete. 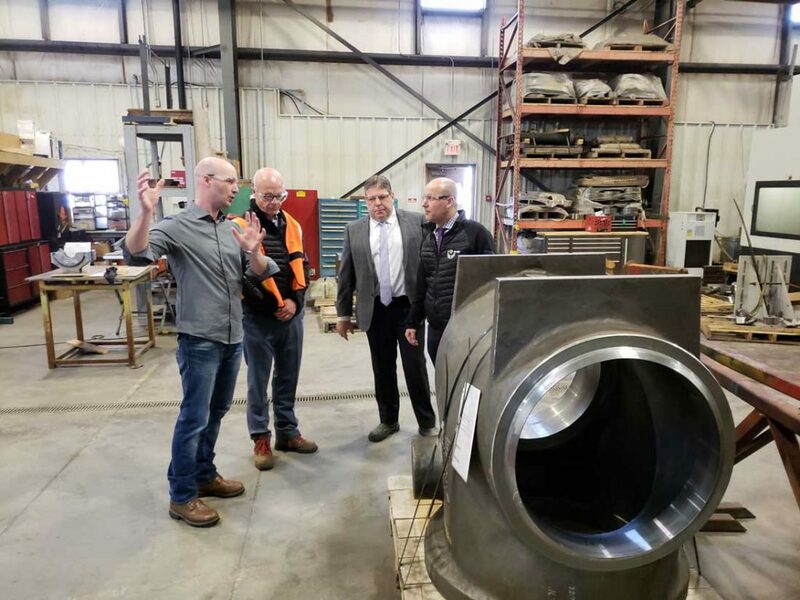 While touring the machine works and heavy equipment repair facility to better understand Gemini’s capabilities and operations, Ambassador Sproule spoke with several skilled trades-persons about the different projects on the shop floor. 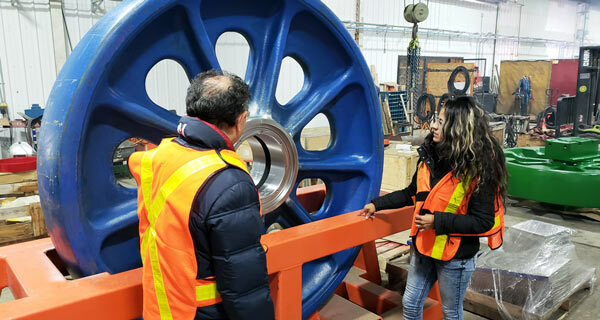 Canada is one of the top investors in Mongolia, largely in the mining sector. In 2015, Statistics Canada estimated Canadian investment in Mongolia at approximately $6.4 billion. David Sproule began his career as a Foreign Service officer with External Affairs Canada in 1981. Following his first posting as Third/Second Secretary in Singapore, Mr. Sproule held other positions in embassies abroad, including as First Secretary in Bangkok and Counsellor in Washington, D.C.
From 2000 to 2004, Mr. Sproule served as Counsel and Deputy Agent of Canada before the International Court of Justice, in the “Case Concerning the Legality of the Use of Force (Yugoslavia v. Canada)”. He was first appointed as a Head of Mission in 2004, serving as High Commissioner to Bangladesh, then as Ambassador to Afghanistan, followed by Ambassador to Thailand, after which he was appointed as Ambassador to Norway, and more recently as Ambassador to Libya before his current position as Ambassador to Mongolia. In Ottawa, Mr. Sproule’s assignments have included Deputy Director of the Economic Policy and Summits Division; Deputy Director of the Human Rights Law Section; Director of the Asia Division at the Intelligence Assessments Secretariat of the Privy Council Office; Director of the Oceans and Environmental Law Division; Director of the Human Rights, UN, and Economic Law Division; and, Director General of the Legal Bureau. Mr. Sproule has also led numerous Canadian delegations in negotiation of bilateral and multilateral treaties and other international legal instruments. Biography excerpt is available here on Global Affairs Canada website. 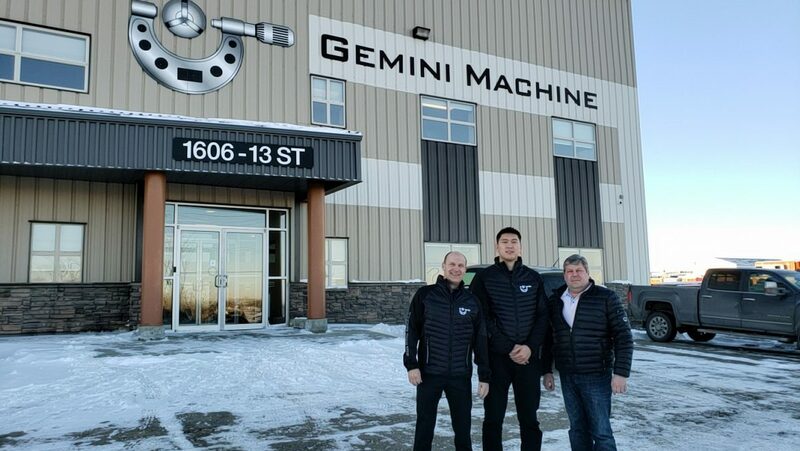 Gemini Machine Works Acquires Cheeta Machining Ltd.
Gemini Machine Works is proud to announce the acquisition of Cheeta Machining Ltd., located in Edmonton. 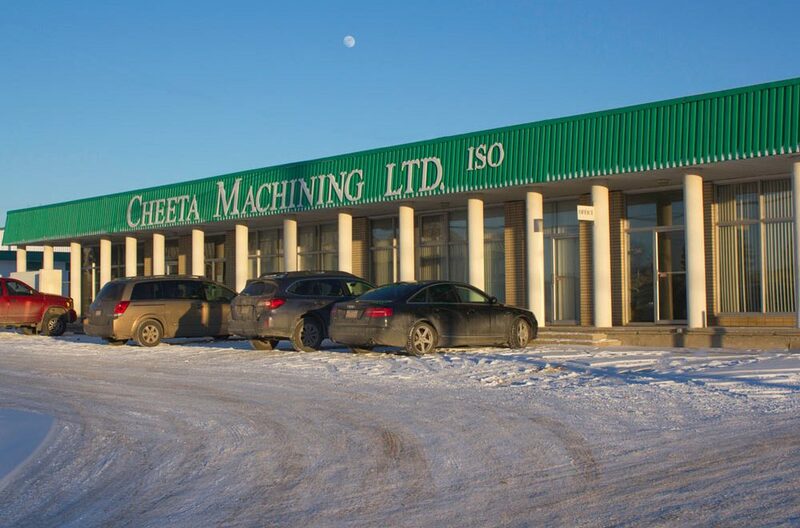 Cheeta Machining Ltd. was founded more than 30 years ago offering custom machining and manufacturing services distinguishing itself with its unique level of quality and customer service. 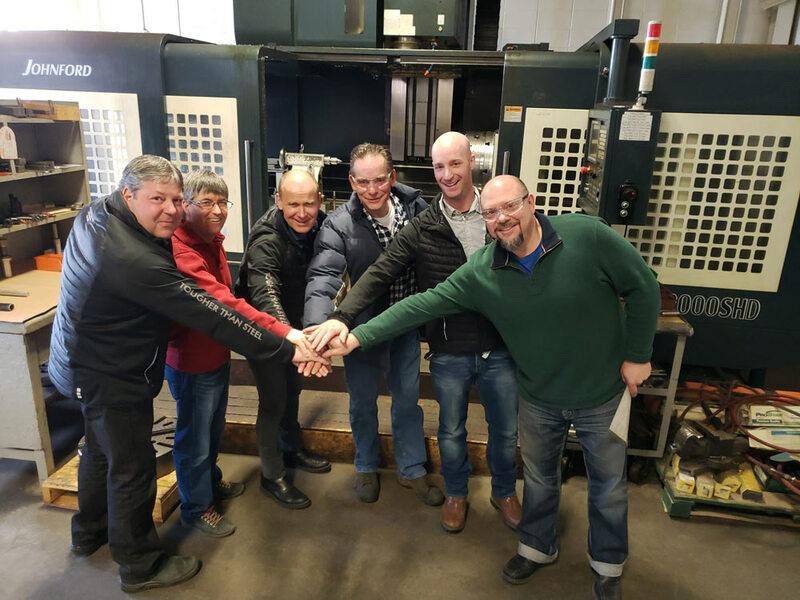 Located in a modern South Edmonton commercial facility, the dynamic team at Cheeta Machining Ltd. will join the Gemini family of over 120 skilled tradespersons and industry professionals. What does this mean for Cheeta and Gemini’s customers? 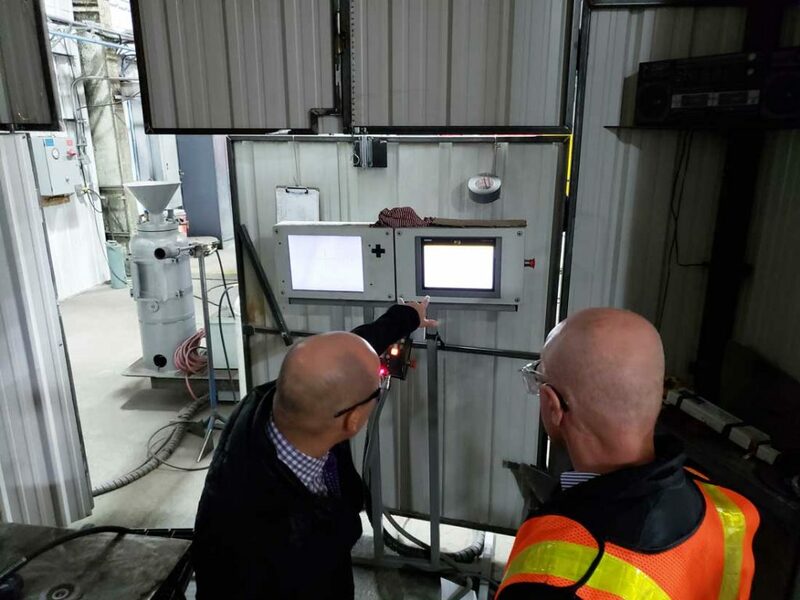 We will be combining our services, our skills and our specialties to provide our customers the most efficient and effective manufacturing solutions possible. 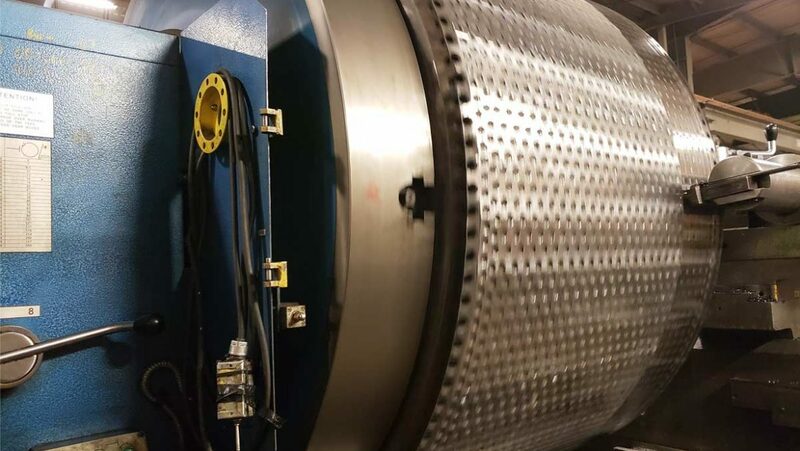 Our customers will receive the same high-level quality and service experience, meanwhile gaining a more extensive collection of manufacturing abilities, services scope, and industry expertise. 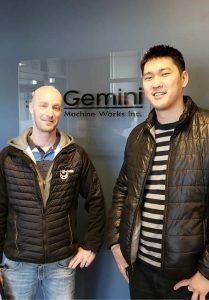 What does the Gemini Machine Works group represent? 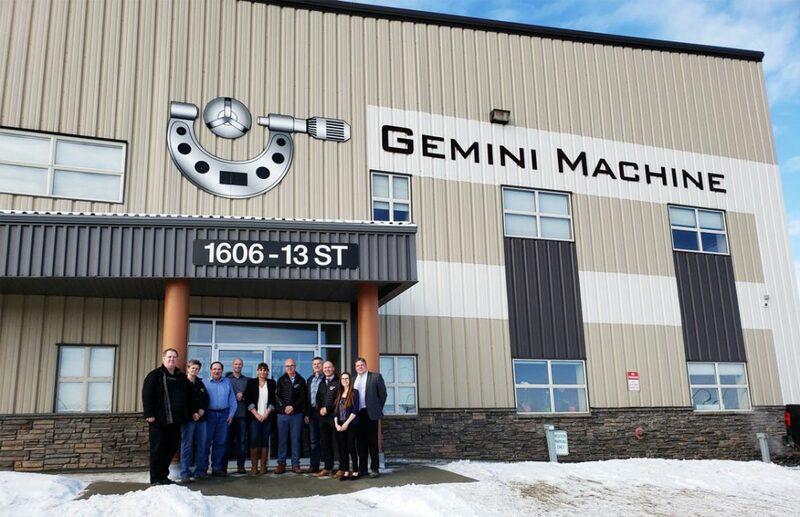 Gemini Machine Works Inc. now operates three facilities dedicated to world-class manufacturing including heavy equipment repair, welding and fabrication as well as product development. Through this generous growth period Gemini continues to focus on key markets within North America, Europe, Latin America and Asia. 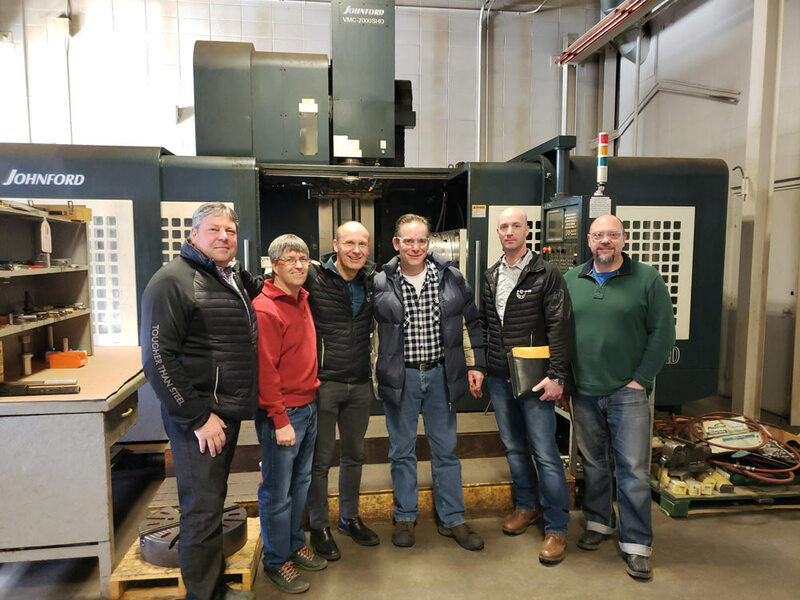 February has been a busy month for Gemini Machine Works. 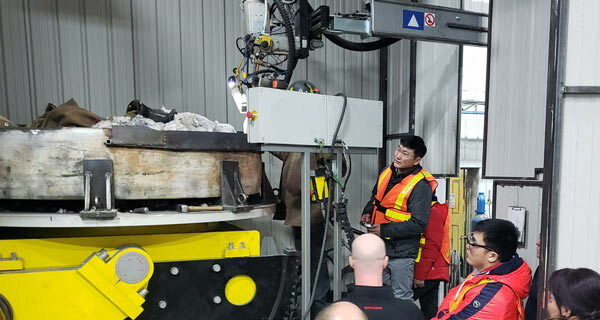 Senior Management hosted two groups of international visitors last week in what is becoming increasingly common as Gemini continues to develop opportunities abroad. 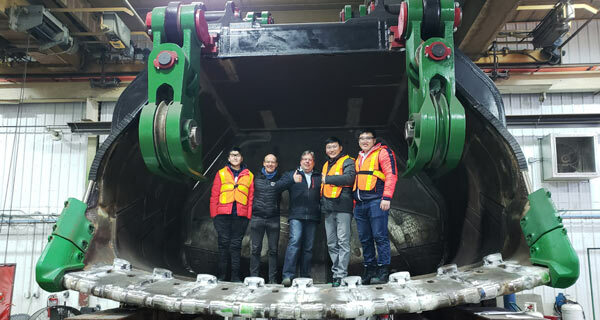 Last week, Mr. Tumen, Gemini strategic joint venture partner and owner/director of Mongolia’s largest raw materials supplier Tumen Tumurt LLC, visited our Nisku facilities for the first time. No stranger to the inside of Gemini’s conference room, via video streaming, it was a pleasure to have him attend meetings in person. 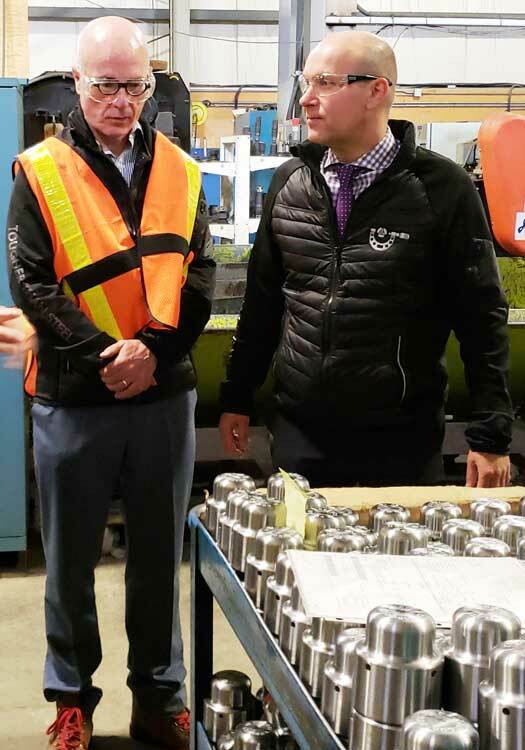 While touring both facilities, not surprisingly he was right at home out on the shop floor looking at materials and discussing various processes through his interpreter and son Puna. 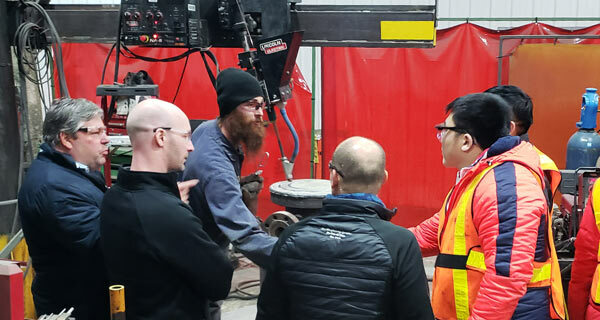 Later that week, the newest members of our Business Development team spent two full days getting a firsthand look at our manufacturing & repair processes, technologies and capabilities. Having traveled from Mexico City the Alberta weather certainly took them by surprise. Alberto, Silvia & Hector (Team Latin America) will be putting their extensive oil & gas and mining industry experience to use representing Gemini with clients across Latin America. 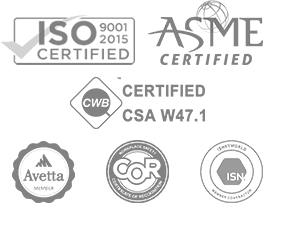 Gemini Machine Works Inc. is a world-class manufacturing solutions provider with a passion for precision, quality, and innovation. 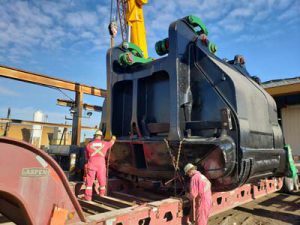 Bucyrus 495 Car Body – Refurbishment Project Complete! 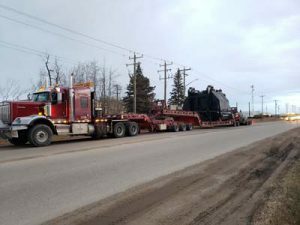 Together with our heavy haul partners, this 130 Ton Car Body and Swing Gear Rack is now heading back to the Wood Buffalo mine for re-installation on a Bucyrus 495 Electric Rope Shovel. 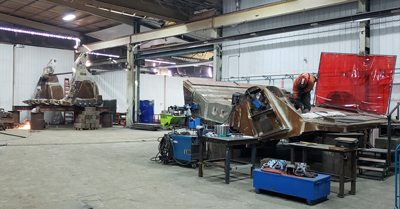 This extensive refurbishment project was well suited for Gemini utilizing our core resource offering of welding, millwrighting and precision machining services. 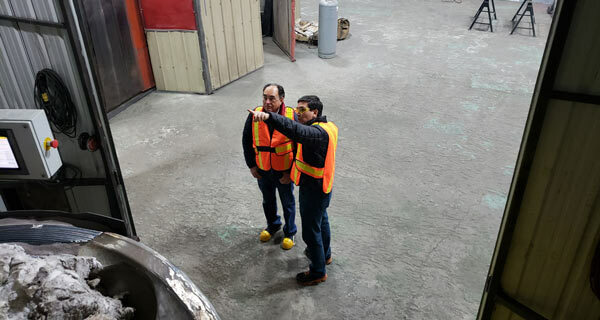 Returning from trade business in Quebec and Ontario, Canadian Trade Commissioner to Mongolia, Enkhzorig (Ebe) Erdenebayar, scheduled time to meet with Sr. Management at the invitation of Gemini President Chris Neitsch. 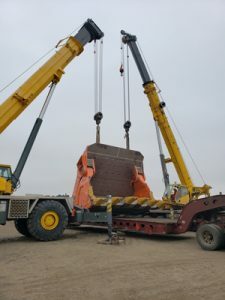 “The purpose of the visit was to provide the Trade Commissioner a firsthand experience with the day-to-day operations and processes of a company uniquely suited to the fabrication and repair needs of Mongolia’s burgeoning mining industry,” Gemini’s VP of Business & Product Development Mike Walchuk said. 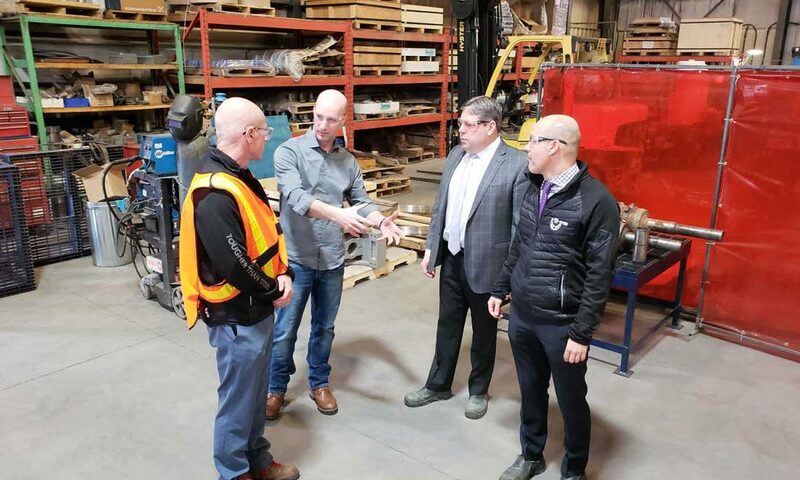 After touring the machine works, rotating equipment repair center and heavy equipment repair facility the Trade Commissioner attended several operations, planning meetings as well as Gemini’s monthly HSE meeting. Mr. Erdenebayar’s role is to assist Canadian companies by providing advice on marketing strategies and up-to-date market and sector information to help smooth the path for Canadian companies looking to do business in Mongolia. Gemini operates two 45,000 sq. 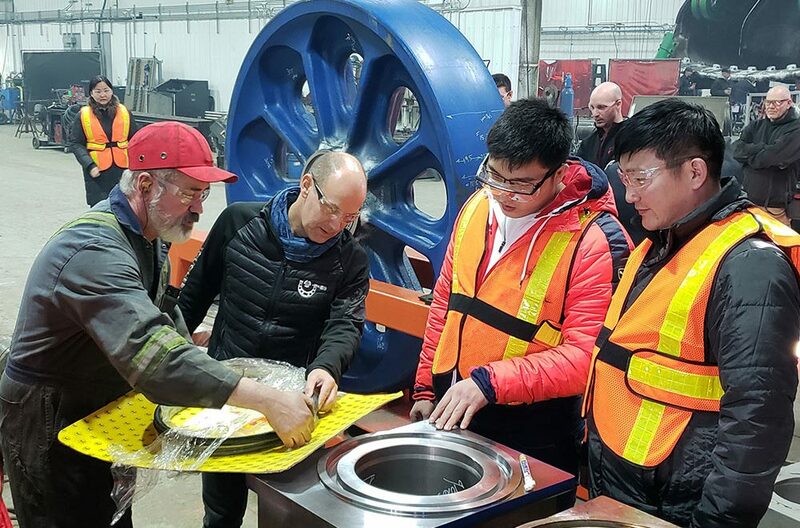 ft. facilities specializing in large OD and production machining, rotating and heavy equipment repair, structural fabrication and pressure piping with joint venture partnerships in Columbia, Poland, China, and Mongolia. 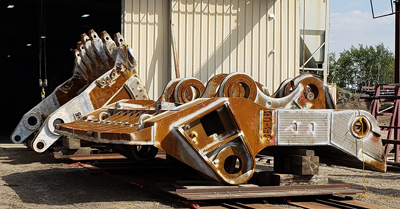 Gemini has numerous heavy machine tools purpose suited for heavy mine equipment repair. Shown in the video is a 24,000 lb. 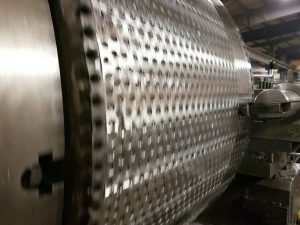 Crusher Roll on one of our big swing lathes for refurbishment. 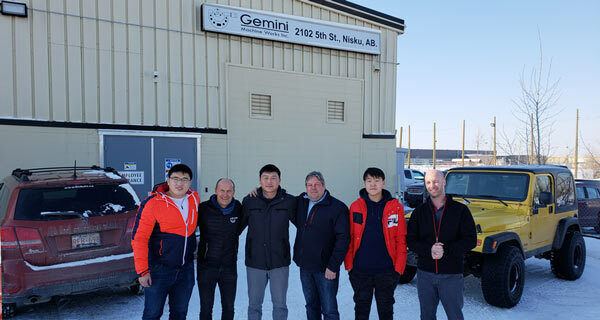 Gemini Joins the World’s Leading Wear Service Network! In keeping with Gemini’s commitment to provide the highest quality products and services we have joined the world’s leading wear service network – Hardox® Wearparts. 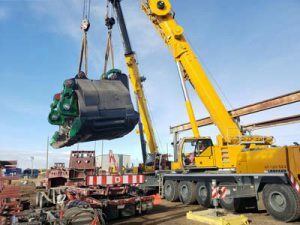 Designated Hardox Wearparts Center – Edmonton, Gemini provides rebuild & repair services to the mining, oil & gas, power generation and other heavy industries. 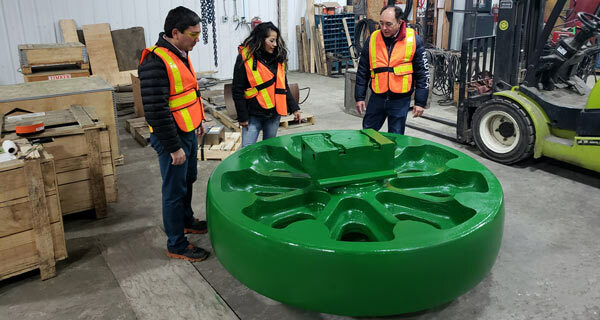 Featured is a recently completed Clam & Backwall ready for transport to a major mining operation in Fort McMurray, AB where it will be mounted on a Hitachi EX8000 Hydraulic Excavator. 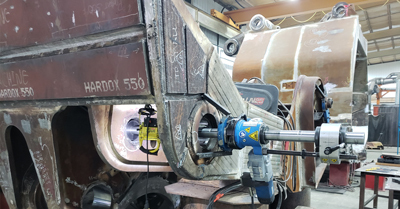 Outfitted with Hardox® 450 inside of the backwall and Hardox® 550 on the bottom of the backwall these tough wear plates provide exceptional wear and abrasion resistance as well as substantially longer wear life compared to other AR steel grades. View Gemini’s Hardox® Wearparts Center Profile here. 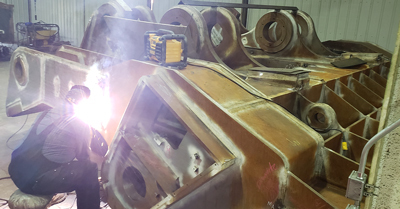 Gemini offers a comprehensive scope of welding, fabrication and overlay services, backed by our 45,000 sq. 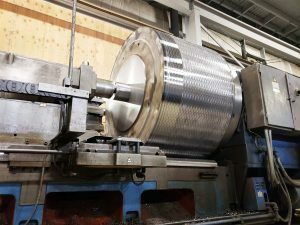 ft. state of the art machine works, to meet the demanding needs of our client’s projects. Our team of experienced and dedicated professionals are ready to tackle even the largest manufacturing/repair projects. 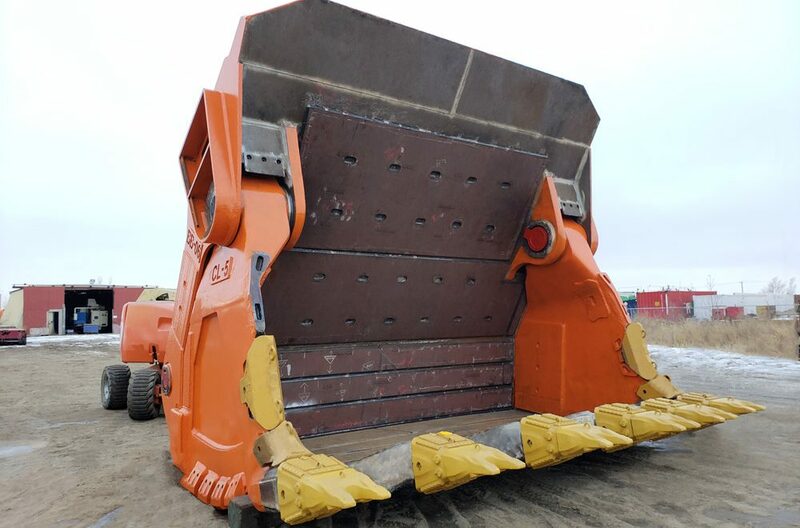 Clam & Backwall ready for transport to a major mining operation in Fort McMurray, AB and mounted on a Hitachi EX8000 Hydraulic Excavator. 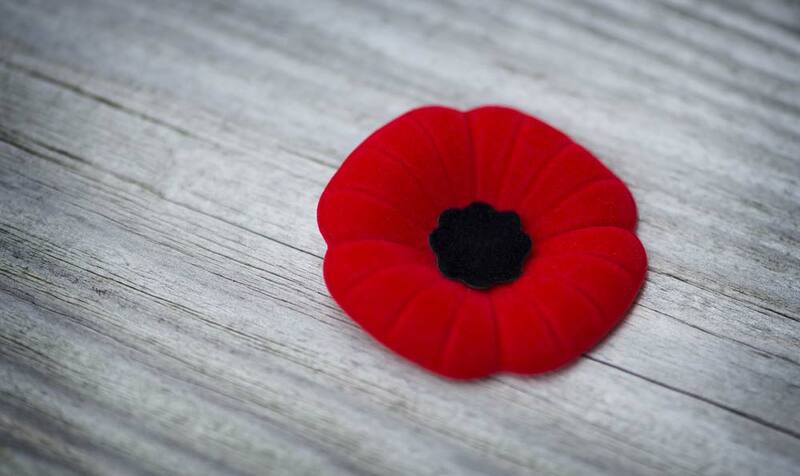 On this 100th year anniversary of the end of WWI Gemini Machine Works wishes to honor the men and women who fought for Canada in the First World War, the Second World War, and the Korean War, as well as those who have served since then. 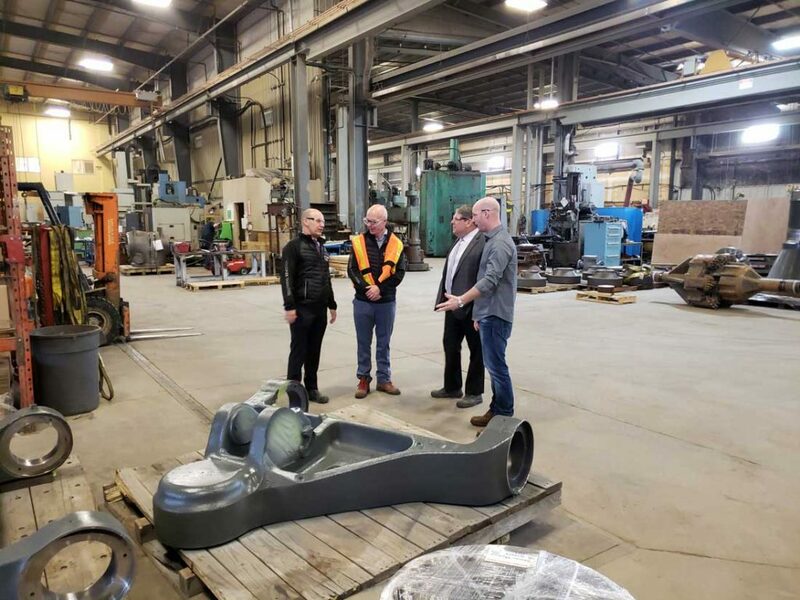 Gemini’s Welding, Fabrication & Heavy Equipment Repair Facility saw another Dipper leave for a Ft. McMurray mine where it will be mounted on a Bucyrus 495 BI Electric Rope Shovel. Refurbishment on this type of Heavy Mine Equipment is literally no small feat. Undoubtedly, this must have turned some heads on the Anthony Henday Drive (a major freeway that encircles Edmonton) as well as HWY 63. 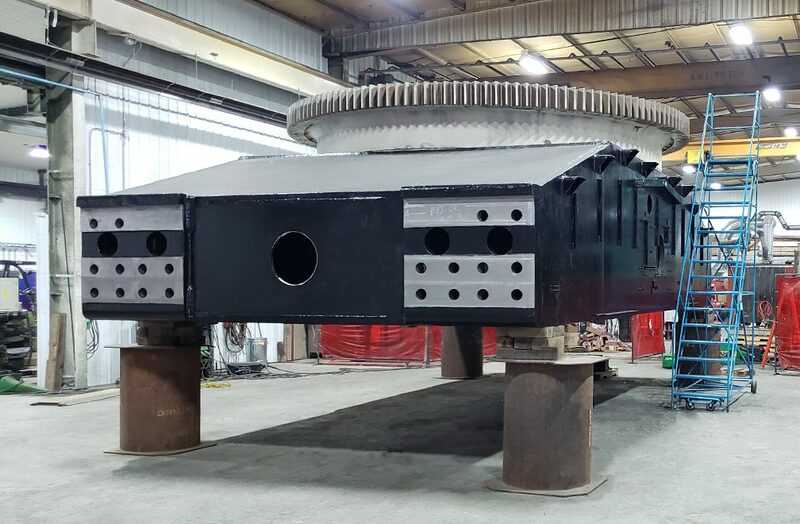 The Heavy Equipment Repair Team utilized a great deal of technical and trades resources to complete this Dipper project including: certified inspectors, NDE, crack repair, expendable wear component replacement, machining, millwrighting, welding & fabrication, overlay, build-up, critical alignment & assembly, and more. 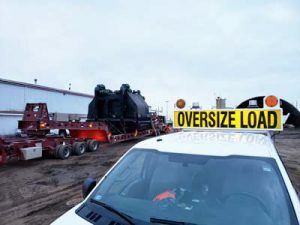 Transporting this behemoth more than 450 km safely definitely takes some specialized equipment and a team of oversize load professionals. 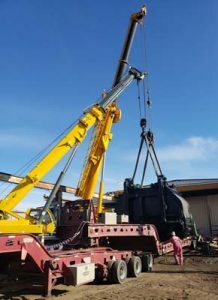 Two heavy lift mobile cranes with a combined 230 Ton lift capacity were used to maneuver the almost 168000 lb Dipper onto a hammock style conventional trailer. 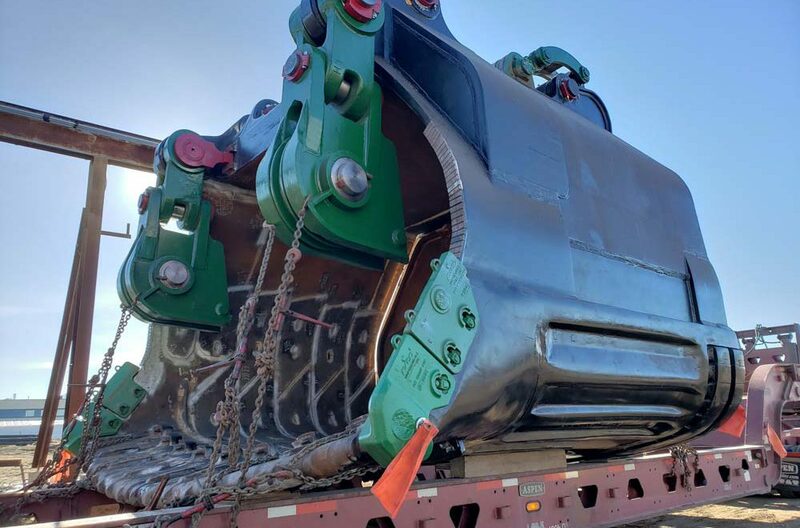 As shown below, the coordinated effort of Gemini Machine Works and our Heavy Haul partners to get this massive component on the road and to its destination – professionally and safely. A proper work-life balance is essential for continued success. 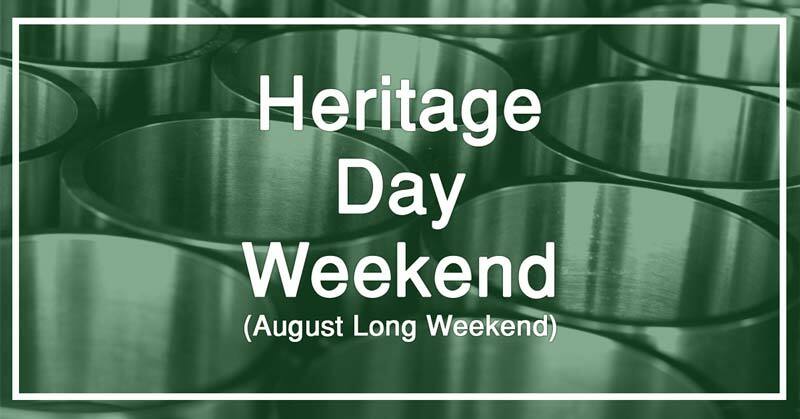 Regular hours resume on the 7th. Have a great weekend everyone!